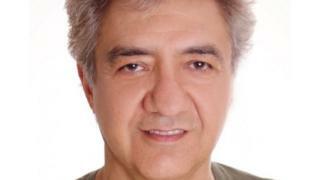 Prof Abbas Edalat, who works at Imperial College London, was detained in Tehran in April. Prof Edalat - who specialises in computer science and mathematics - was reportedly attending an academic workshop in Iran on 15 April when he was detained. At the time of his arrest, an Iranian news agency reported that Prof Edalat was part of a "network" of British spies whose members had been identified and arrested. Prof Edalat founded anti-war protest group CASMII, which opposes sanctions in Iran. The group said: "It increasingly appears, as we had suspected, that his detention in spring in Iran was a case of misinformation and misunderstanding by the Iranian security apparatus." In April, there were at least 30 dual nationals in jail in Iran - among them several dual British-Iranian nationals. A spokesman for the Foreign Office said: "We continue to take action on all our consular cases in Iran in line with what we believe will produce the best outcomes in their cases." Mrs Zaghari-Ratcliffe is serving a five-year jail sentence after being convicted of spying charges, which she denies. Foreign Secretary Jeremy Hunt met Mrs Zaghari-Ratcliffe's husband, Richard Ratcliffe, on 21 December to assure him the Foreign Office was continuing to work towards her release. With regards to her case, a Foreign Office spokesman said: "We have repeatedly lobbied the Iranians to release Ms Zaghari-Ratcliffe on humanitarian grounds and we raise all our cases at every level and every opportunity." The spokesman added that Iran did not recognise dual nationality, which made the case more difficult. Prime Minister Theresa May met Iranian President Hassan Rouhani for talks at the United Nations in New York in September, when she told him she had "serious concerns" about Mrs Zaghari-Ratcliffe's imprisonment.